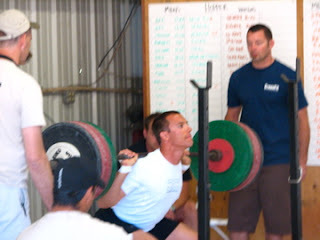 I ended up placing Six over all at the Crossfit Games.... what a weekend it was! 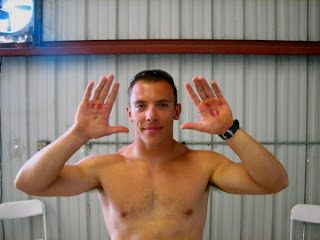 The picture at the top was what my hands looked like after the hopper workout. 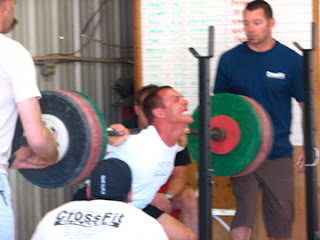 Another day in the life of a Crossfitter. 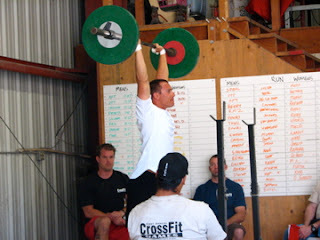 Notice the tape on my hands for the Crossfit Total, gripping was a challenge with all my calluses ripped off my hands.